Daniela Barcellona was born in Trieste, Italy, where she completed her musical and vocal studies under the direction of M° Alessandro Vitiello. 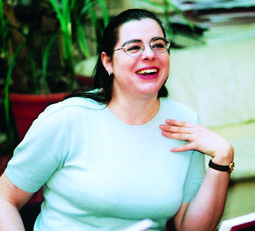 After winning awards in several international competitions, including the Aldo Belli in Spoleto, the Iris Adami Corradetti in Padua and the Luciano Pavarotti International Voice Competition in Philadelphia, in the summer of 1999 she went on to perform Tancredi at Rossini Opera Festival in Pesaro. Since then she has been considered one of the most important and sought-after interpreters at the international level. 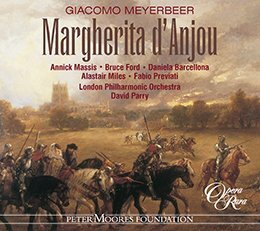 She has collaborated with such eminent conductors as Riccardo Muti, James Levine, Gianluigi Gelmetti, Claudio Abbado, Sir Colin Davis, Riccardo Chailly, George Pretre, Bruno Campanella, Wolfgang Sawallisch, Myun-wun Chung and Alberto Zedda. 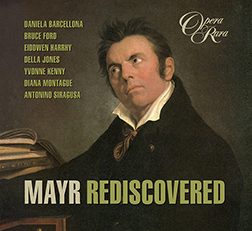 Among her most significant awards are the Abbiati Award (the Italian critics’ prize), the Lucia Valentini-Terrani and the Aureliano Pertile awards, the 2002 Opera Award, the CD Classica Award and the Rossini d’oro (awarded for a third time to a mezzo soprano, after Marilyn Horne and Lucia Valentini-Terrani). 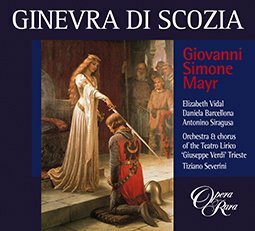 She appears on Opera Rara’s recording of Ginevra di Scozia (ORC23).